I saw Sleepy Sun in concert december 14 in Brussels at “Le Botanique”. It was a magical evening with my princess. 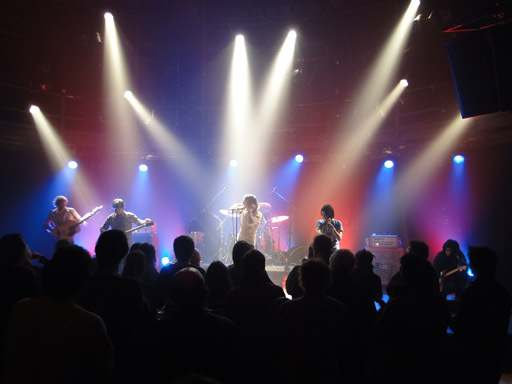 It was in the very cool “rotonde”, it’s a circular arena and it’s magical, you can be very close to the band. Here is the encore of the concert, they did a cover of “The Chain”. 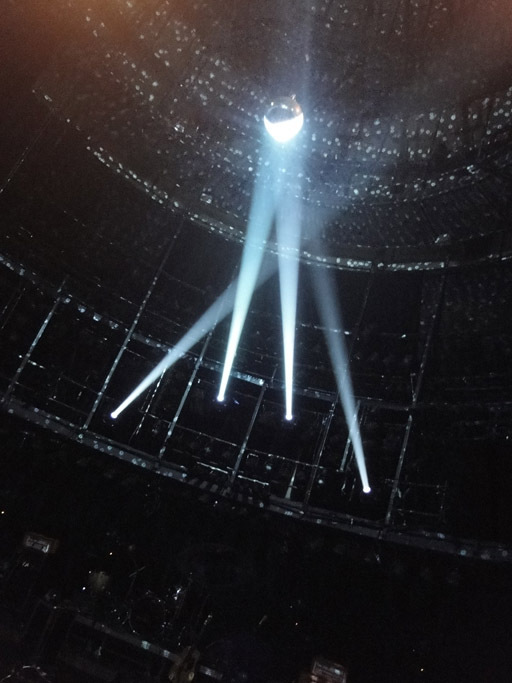 The whole concert was perfect! The song were a little bit longer than the original tracks. I bought a small Arduino board that has a small CPU to prototype some ideas about driving LEDs. Here is the first test, it’s was quick to have something blinking! I want to use that as a prototyping platform to develop a protocol to drive LEDs in a simpler way. Today you drive LED or with DMX or with video converters. DMX is cool and inexpensive but difficult to setup and video converters are very expansive. One of the thing we did master after more than 10 years of learning the various API that can be used on Mac and Windows to decompress video is that not all facilities are equal. We believe that you should be able to use almost any kind of medias with the ArKaos software and we will make our best to get the best performances on the platforms we support. Practically we can open media thought those facilities : QuickTime, FFmpeg, Flash plugin, Quartz Composer and Windows Media. Currently as december 2009 we don’t give the choice to the use to decide through what facility a media will be decoded, we try to take the best decision automatically based on our experience of doing that since so many years. 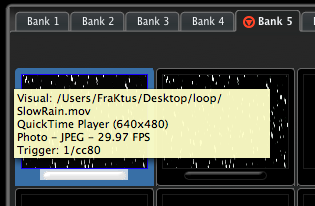 Several video codecs such as mpeg 4 can be read by QuickTime, FFmpeg and Windows Media. Based on our experience and tests we prefer to first try to handle those codecs with FFmpeg and we invite our users to trust us in our judgment. Sadly QuickTime has become today almost obsolete and is just used to decompress the codecs needed by the iPods. Most codecs are not properly multi threaded and this is a big problem for us. With GrandVJ or MediaMaster you can use a multi core machine and make sure that each cores will be used to decompress the video layers you are mixing, this is only true if you are not playing videos that absolutely need the QuickTime support. Windows Media is a wonderful technology but it’s architecture is completely incompatible with the sophisticated engine we use to do frame blending and frame prediction in the latest version of GrandVJ and MediaMaster. Flash animations and Quartz Composer are unique in the sense that nothing else than the flash plugin or Quartz composer will handle their files. 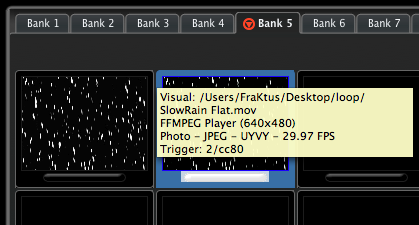 So the conclusion of this introduction is that to get the best multi threaded performance and be sure that GrandVJ or MediaMaster can perform frame blending you should make sure that your content is played through FFmpeg. Once you open a media file your content can go through various roads and it’s important to understand that. On the windows side it’s pretty simple because the software first try to play a file with the FFmpeg facility and then fall back to the other if needed. On the Mac it’s more complicated because some files that could be played by FFmpeg may be rejected just because they are not saved in the right way. Many QuickTime files are created in a way that make them compatible with Mac OS X but also it’s old ancestor Mac OS 9 and 8 and 7 and … Those files used what is called a resource fork. When Apple introduced the Macintosh they decided that a file would indeed be really 2 files, the classical data file with an optional resource file. Many softwares used that resource files to store additional data. This is the case for many .mov files created many years ago and still today some application that were born under the Mac OS 9 time generate QuickTime .mov files that have a resource fork. This is a problem for us because we can’t handle those file with the FFmpeg facilities and we fall back to QuickTime that has a very bad multi core support for very common codecs such as photo jpeg. A very bad side effect of this resource fork is that most of the time when you copy a movie file that has a resource fork on a Windows or Linux machine it will simply not work because that tiny information in the resource fork is vital to play the content. Hopefully it’s very easy to save a QuickTime file that has a resource fork in a way that will remove that annoying hidden data. 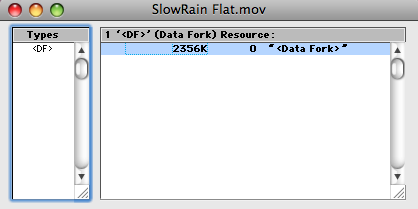 The process is called flattening a file. 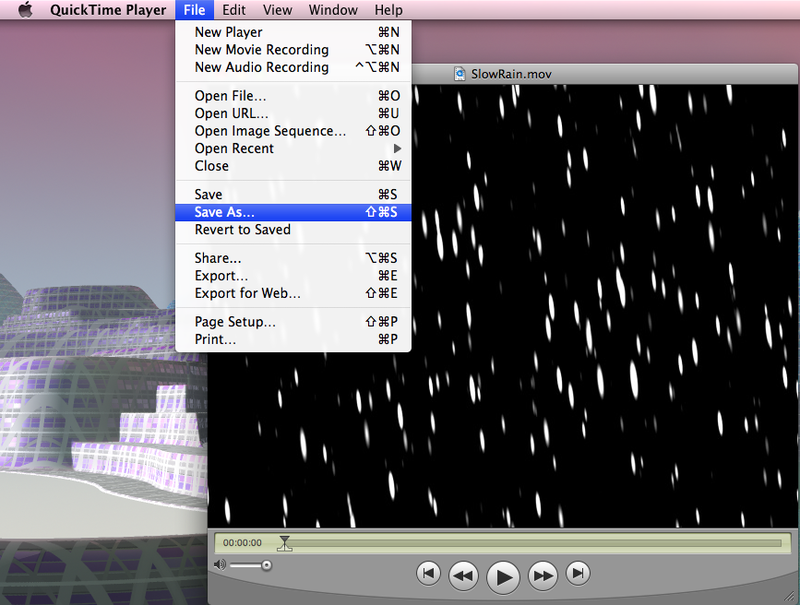 You simply use the QuickTime player and save as your content. This process is very fast and will not re-compress your movie, this is very important to avoid re-compressing when possible. You will only need to do that if your file was created on a Mac, the free version of the QuickTime player is enough to do this. 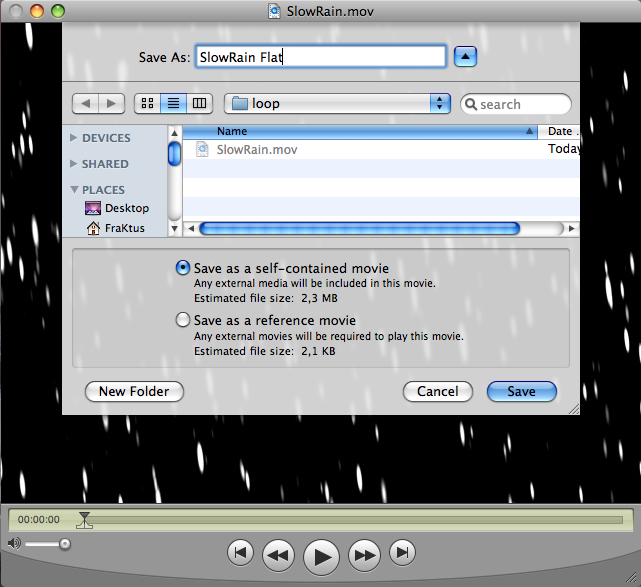 This manipulation work on all the versions of Mac OS X up to Snow Leopard with the latest new QuickTime player. During the introduction of our new audio engine based on FFmpeg some users have complained that some old .mov files were not playing correctly audio with the beta version, this should fix this problem. More than that flattening your file will make them cross platform. This should give some lights on what is happening when you drop a file on GrandVJ or MediaMaster, as you can see a lot of work is being done under the hood.